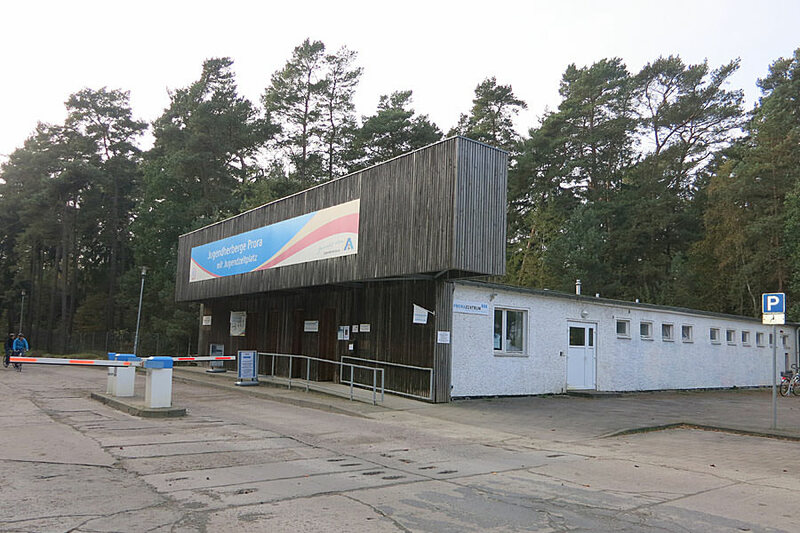 Your visit – PRORA Zentrum e.V. For Easter and Christmas opening times, please see the up-to-date information on our homepage or our Facebook page. Short-term changes to opening times are posted there. The exhibition is open daily 10:00am to 6:00pm from May to October (including holidays). From November to April we are open from Monday through Friday from 10:00am to 4:00pm. Since we have made a conscious decision to offer a low admission price for all visitors, we cannot offer an additional reduction for seniors, students and those with severe handicaps. Groups of six or more persons also receive a discount and pay 3 Euro per person. 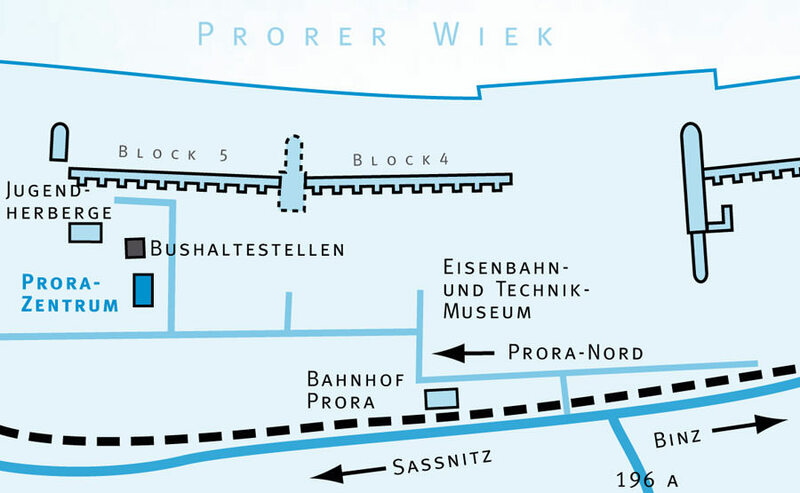 The PRORA CENTRE is located in Mukraner Straße #12, Binz, 18609 in the North Prora district. 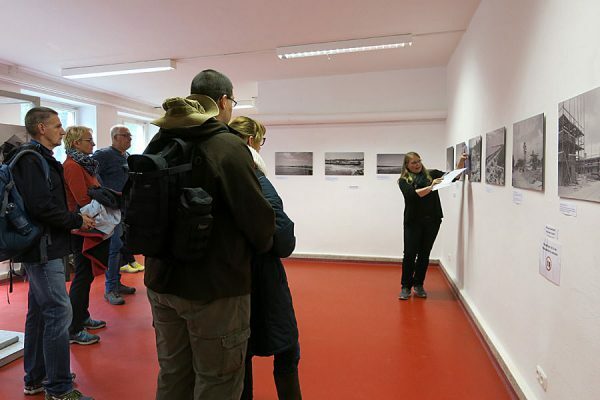 Our exhibition is in the building at the entrance to the Prora Youth Hostel. From the L29 main road, take the “Prora-Nord” exit and follow signs to the left leading to the Prora Youth Hostel. Parking is available on the premises. The PRORA CENTRE offers tours of the grounds around block 5 in the northern part of Prora. 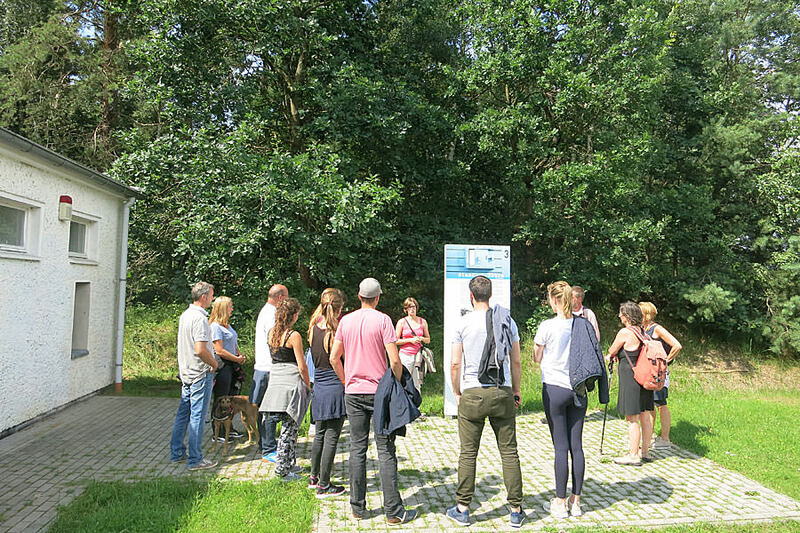 In about 90-120 minutes and with the help of the building, the surrounds and historical footage, the tours convey the Nazi and GDR history at the facility as well as information on current developments. Public tours take place from April to October on Tuesdays and Thursdays at 10:00am and 2:00pm. The price is €5 per person. Teenagers (12 to 17) pay the reduced price of 3.50 Euro, children under 12 are free of charge. 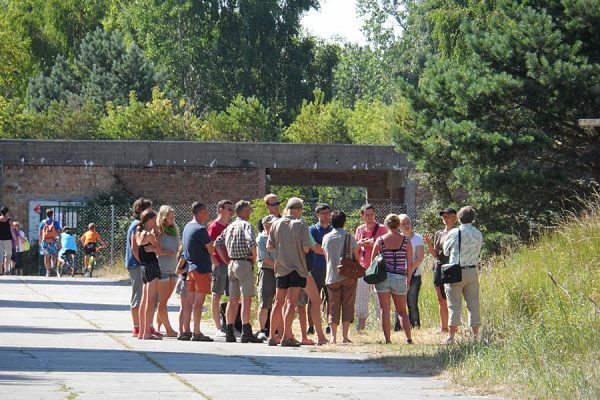 Guests of the youth hostel or youth campground in Prora pay a reduced price for the tours. For those who want to participate in the tour and visit the exhibition, we offer an affordable combination ticket for 7 Euro (reduced 6 Euro). Our guided tours of the grounds are outdoors, we therefore recommend weather appropriate clothing and suitable footwear. Our exhibition building does not have any obstructions, meaning that those in wheelchairs can move about independently in the building. 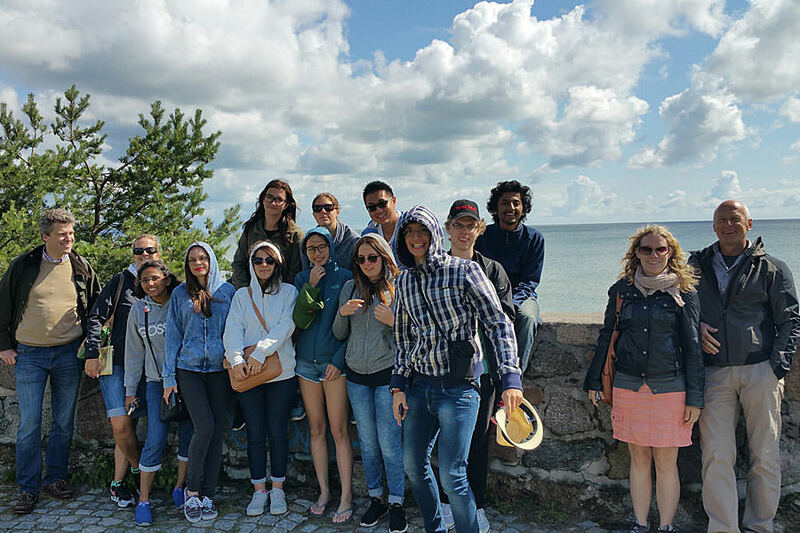 Our restroom facilities are not wheelchair accessible, the nearby Prora Youth Hostel offers an alternative option. WCs are available for visitors to the exhibition. Dogs are not allowed in the exhibition building. Dogs are allowed on the guided tours of the grounds as long as they do not disrupt the tour. For children there is a small corner for painting in the exhibition area. For those who are slightly older we offer a permanent exhibition crossword puzzle, „Prora – more than just a pretty beach – 1933-1946“. Free parking is available on the grounds of the hostel. The PRORA CENTRE is also reachable by bus (line 20, „Prora Youth Hostel“ stop) and via train („Prora“ station, and then a ~ 10 min. walk. From March/April to October, the Prora Youth Hostel cafeteria provides food and drinks. The PRORA CENTRE has no dining facilities.